Ed Puig started off strong, this night in late July 1986. In the first 4.2 innings for single-A Reno, Puig let just three runners reach base, The Modesto Bee wrote. Then, in the sixth, Puig allowed three more base runners, a fourth wasn't on base long, as he circled the bases for a grand slam, The Bee wrote. On the season, Puig pitched well. He owned a 14-9 record, struck out 130 and posted an ERA just over 4. But, despite those early efforts, Puig never did well enough to get to the majors, getting as high as AAA, but no higher. Puig's career began in 1985, signed by the Padres. Puig pitched that season and the next, at single-A Reno. He went 9-7 his first season, with a 4.86 ERA, then went 14-9 that second season. His first May was not even out and The Bee described the opposing Puig as having "a big breaking curve and an effective changeup." The description came in a game where Puig went seven innings and gave up six hits. In 1986, Puig owned a 4-1 record and a 1.90 ERA by late May, helped along by a May three-hitter. That was followed by a June five-hitter. In July, Puig made the California League All-Star team, a game where Puig picked up the loss, after giving up a home run in the second inning. By 1987, Puig was with the Brewers, playing at single-A Stockton, and getting a one-game look at AA El Paso. At Stockton, Puig went 11-8, with a 3.29 ERA. He hit El Paso for all of 1988. In 1989. Puig was invited to spring training, after a rash of injuries. But he was sent back to AA. He did get a short look at AAA Denver for 12 games. Puig split 1990 between the two levels again, returning to Denver for just 11 outings in 1991, ending his affiliation with the Brewers. 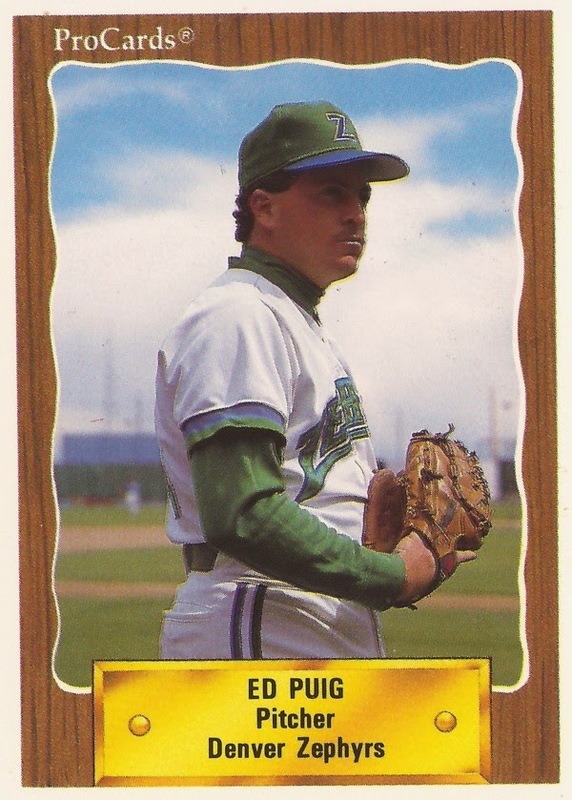 He played in the minors through 1995, in the Royals and Expos systems, finishing out his 11-season professional career without making the majors.